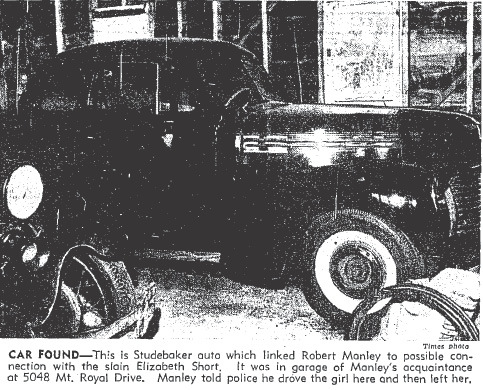 About 12:20 p.m. on January 9, 1947, Elizabeth Short and Robert “Red” Manley left the motel where they spent the night. 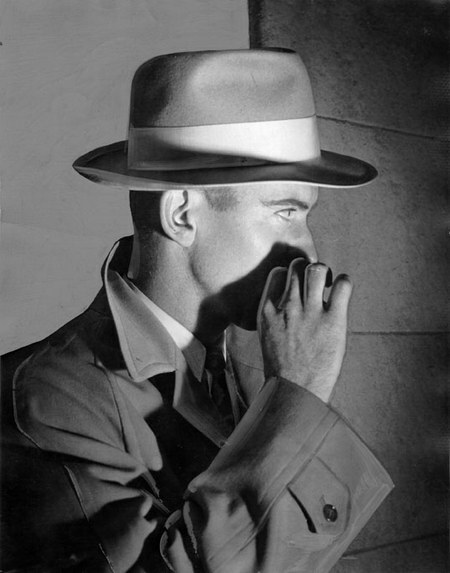 Robert ‘Red’ Manley. Photo courtesy LAPL. What did Beth and Red talk about during the couple of hours that it took them to drive back to Los Angeles from San Diego? Red noticed some scratches on Beth’s arms and asked her about them. She spun a tale of an “intensely jealous” boyfriend – an Italian “with black hair who lived in San Diego”, and claimed that it was he who scratched her. In truth the scratches were probably made by Beth herself, the result of itchy insect bites. Beth lied to Red a few times more before their day together ended. Because Red and his wife were having problems, he wondered if they were meant to be together. In the way that only a spouse on the verge of cheating can do, he sold himself on the notion that if he and his wife were meant to be together, then nothing would happen with Beth. Following their platonic night in a motel room, Red’s marriage was certified as made in heaven–the fates clearly decreed it. But he had a problem; he’d been out of touch with his wife, Harriette, for a couple of days. How would he explain his lack of communication to her? Any guy capable of devising a ridiculous love test could easily come up with an excuse for being incommunicado for a couple of days. In my mind’s eye I see Beth and Red seated across from each other on the bench seat in his Studebaker, each lost in thought. Beth may have been wondering what she’d do once she hit L.A. Maybe she’d go to friends in Hollywood. If she was lucky someone would have an empty bed for her. Her immediate difficulty was Red. How would she get away from the well meaning guy for whom she felt little or nothing? Once they arrived in the city, Beth told Red that she needed to check her luggage at the bus depot. He took her there, and Beth was ready to wave good-bye to him and be on her way–but he wouldn’t leave. He told her he couldn’t possibly leave her in that neighborhood on her own. She insisted that she would be fine, but he wouldn’t hear of it. Beth had a few minutes while she checked her bags to come up with a plan. When they returned to his car she told him that she needed to go to the Biltmore Hotel to wait for her sister. It was another lie. Virginia, the sister she referred to, was in Oakland, hundreds of miles to the north. 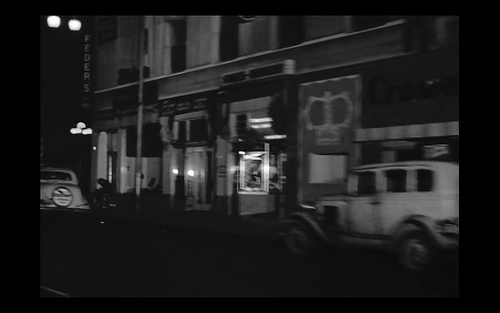 Red drove her several blocks back to the Biltmore Hotel. 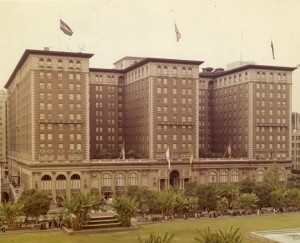 The main lobby was on Olive Street, directly opposite Pershing Square. Beth thanked Red. He had been a gentleman. He’d paid to have taps put on the heels and toes of her pumps, and of course he’d paid for meals and the motel room. She thought that he would drive off and leave her, but once again he said that he didn’t feel comfortable just putting her out of the car. He parked, and the two of them waited in the Biltmore’s exquisite lobby for quite a while. Finally, Beth managed to out wait Red. He said he had to go. She told him she would be fine and that she expected her sister to arrive at any moment. Red left her in the Biltmore at approximately 6:30 p.m. Beth watched him go. She gave him a few minutes, and then she exited the hotel and turned right down Olive Street. Beth may have been headed for the Crown Grill at Eighth and Olive. She’d been there before and perhaps she hoped to bump into someone she knew; after all, she needed a place to stay. Some patrons of the bar later told cops that she’d been there that night, although it could not be verified, and no one saw her leave. Beth would never be seen alive again. NOTE: For a glimpse into Los Angeles as Beth Short would have seen it, here is some amazing B-roll from 1946 shot for a Rita Hayworth film, Down to Earth, via the Internet Archive. Here’s a screen grab of the Crown Grill [thanks to Richard Schave of Esotouric Bus Adventures]. SUBSCRIBE TO THE DERANGED L.A. CRIMES MAILING LIST!